Who didn’t love the recent Royal Tour in India? Kate brought some fabulous style to the table, including some really interesting boho chic looks, as well as some amazing casual outfits too. 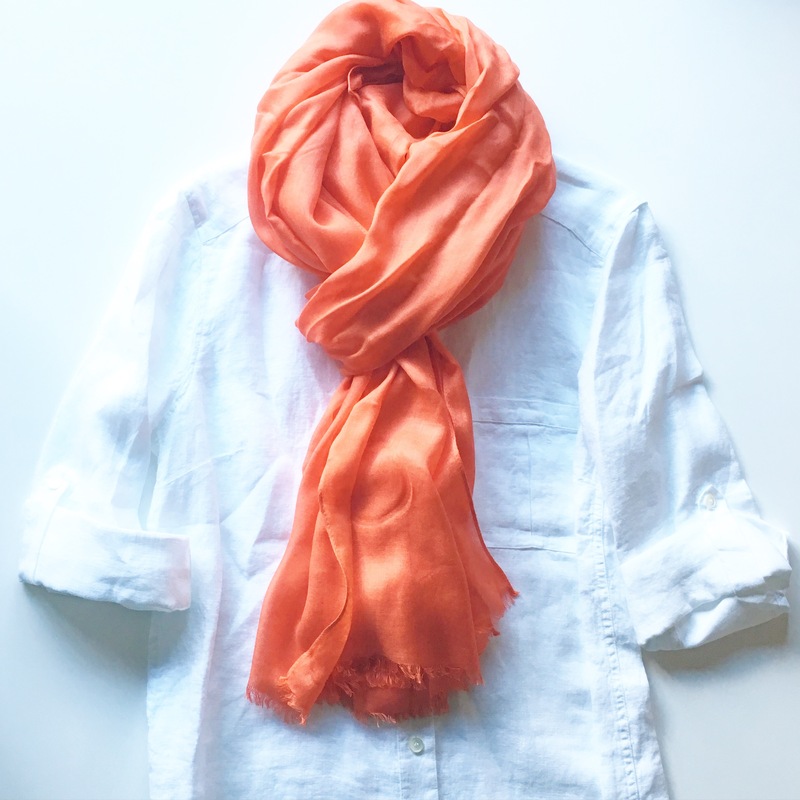 I loved her hiking outfit and had to snap up her Jaeger linen blouse (still available from John Lewis here) – and I accessorised it with a replikate of her Pickett London scarf, this coral John Lewis wrap. Much cheaper, but still a really pretty and soft piece for summer nights! In desperation, at lunchtime I phoned up Paul & Joe’s flagship store in London to see if they had any. Well, they had ONE LEFT! I immediately asked if I could buy it over the phone and they said I could! So out came my card right away… It arrived the next day and I love it! 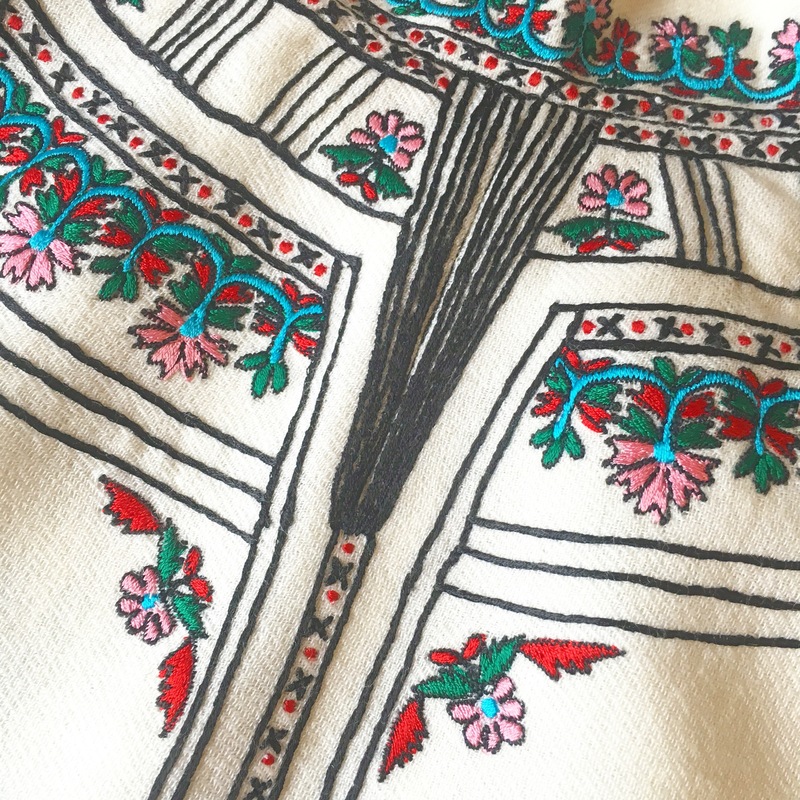 Look at the gorgeous stitching and beautiful colours – the fabric itself is very thin even though it’s made of wool, making it a great choice for spring and summer evenings. 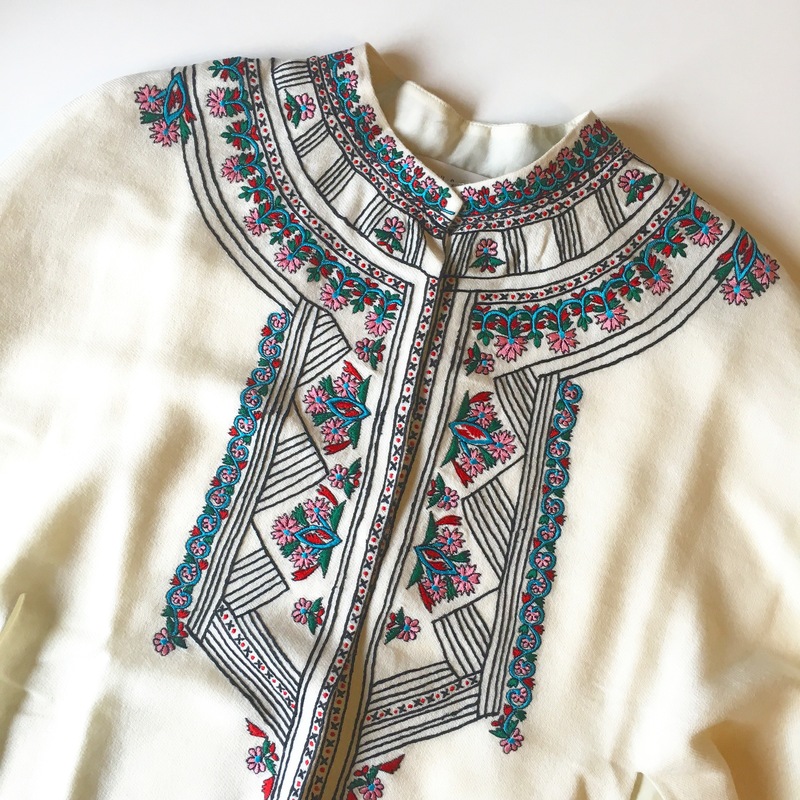 Although I enjoyed Kate’s styling with this, I’m going to wear it very simply with jeans and white shirts – perhaps even the white Reiss Vinnie blouse Kate wore recently? Apart from the gorgeous Brora gold earrings (which haven’t arrived yet) I also picked up the Zara biker trousers! Kate’s colour was khaki marl, and Zara recently released the same style in a different colour… Or did they?! On the bottom you can see the originals and the new ones are on the top. 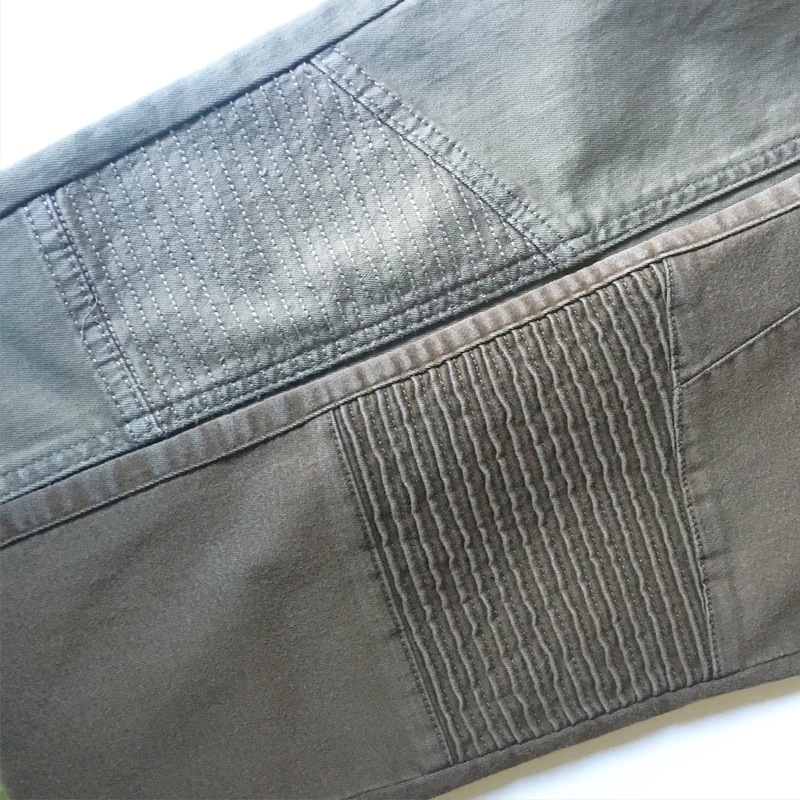 Apart from the difference in the ribbing, there are also differences on the back, an extra zip on the originals and zipped ankles on the new ones! So, when you purchase, if you’re after Kate’s version, double check you’re buying the khaki marl version here. Did you make any Royal Tour purchases? Let me know in the comments below! 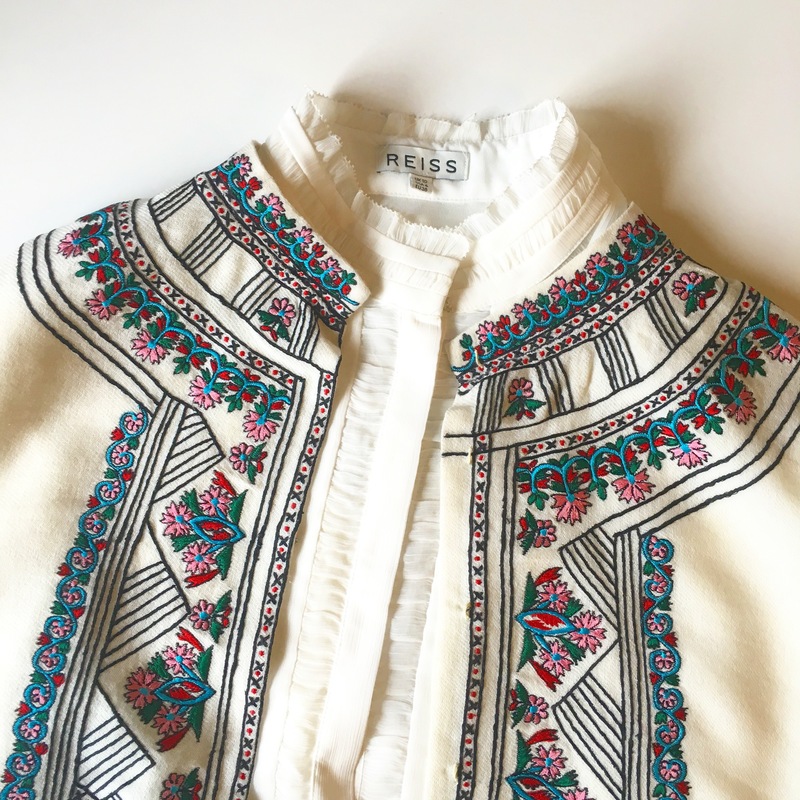 Save Money This Spring: Hush Sale and Discount Codes!